Thanks to Hurricane Irene and lots of time being stuck inside, I got oodles of crafting done over the weekend. We didn’t lose power, so I was able to use my sewing machine and one of the projects I made was this sweet little doll quilt. 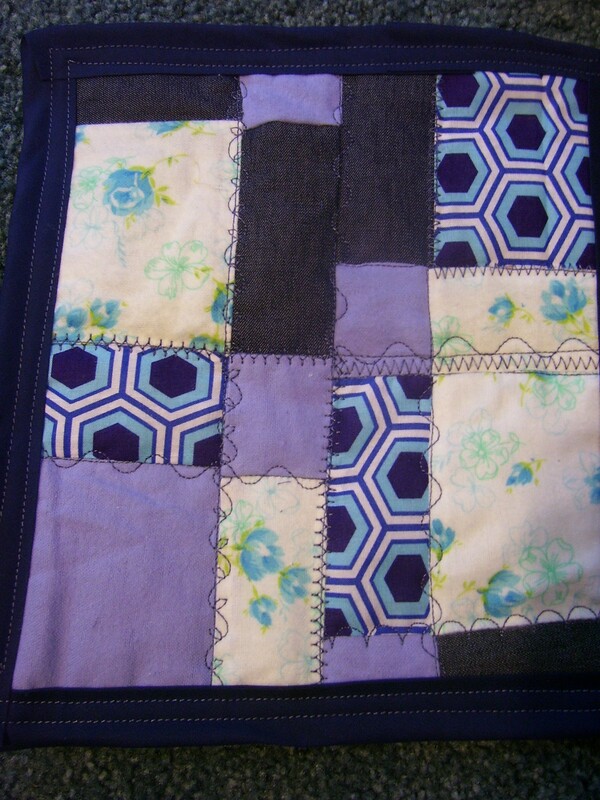 I had made one before, over the winter, when I was first giving quilting a try and it turned out incredibly darling. 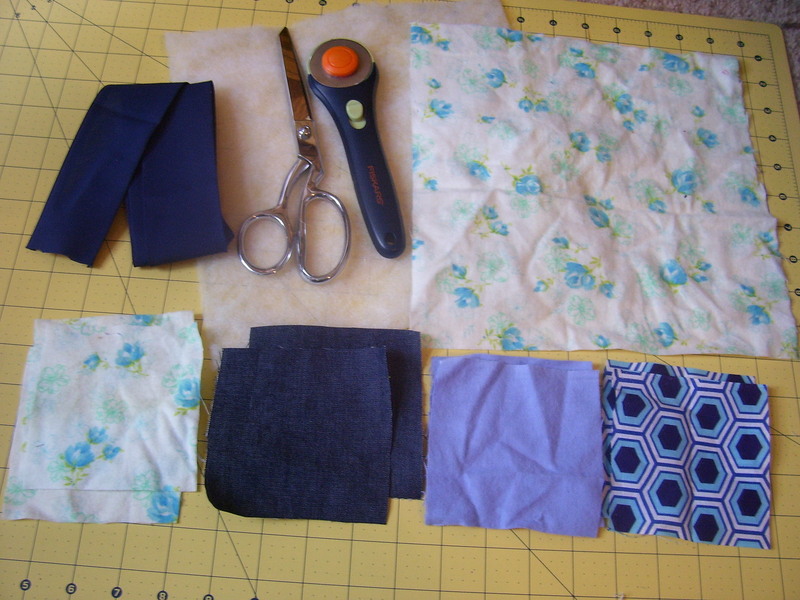 If you’re a beginning quilter or have never tried one, this is a great beginner’s project. 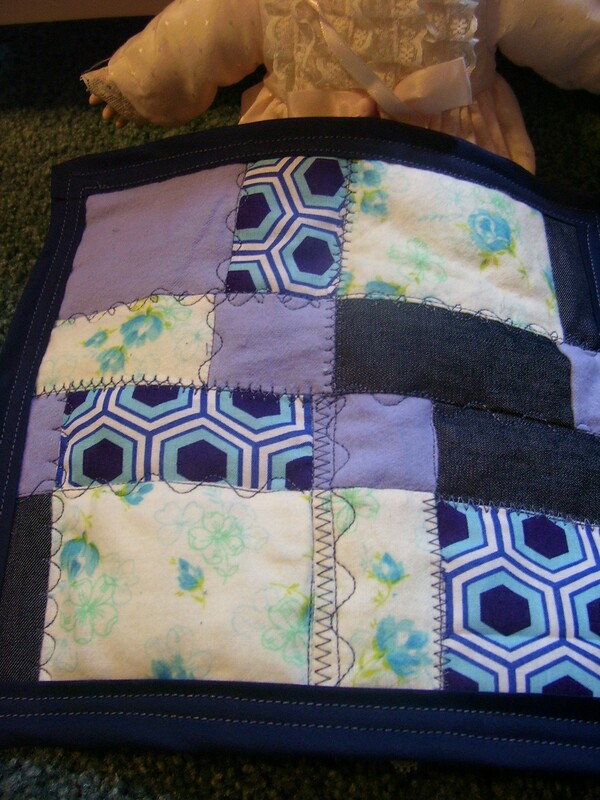 Also, it’s not as time-consuming as a large quilt can be. What a sweet gift for a little girl in your life! Taking a closer look at the stitching. 1. 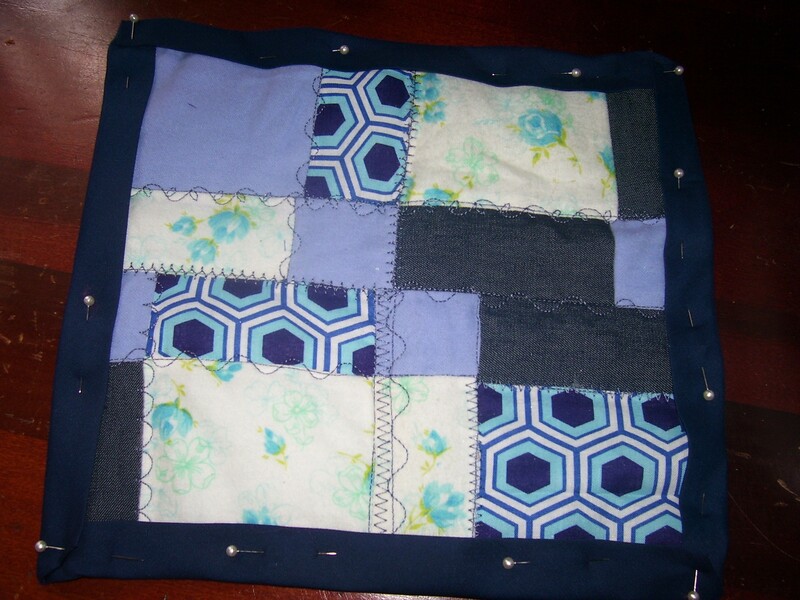 Put two small squares right sides together and sew along one edge. Add a third one using the same method to make a strip of 3 squares. 2. Repeat step 1 to make two more strips of 3 squares each. 3. Place two of the strips right side together and sew along one edge. 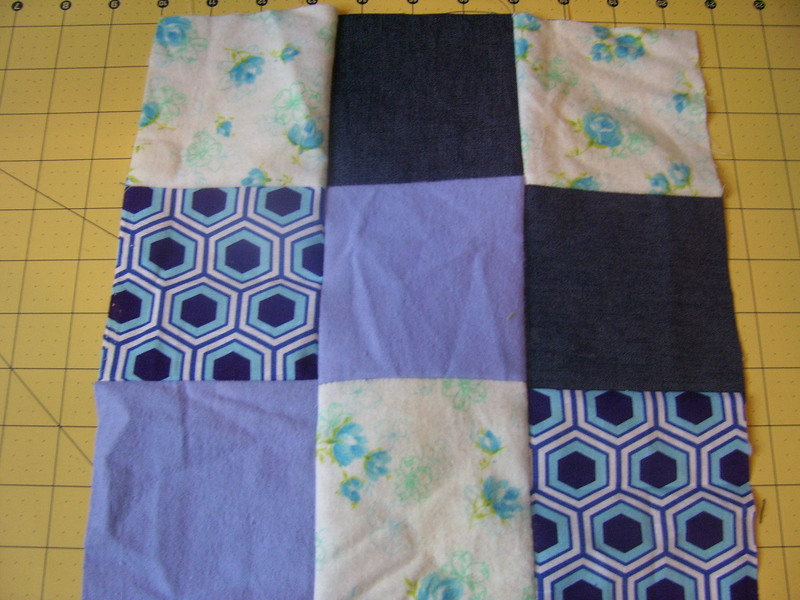 Repeat with the third strip, so you end up with a 3×3 quilt square. 4. 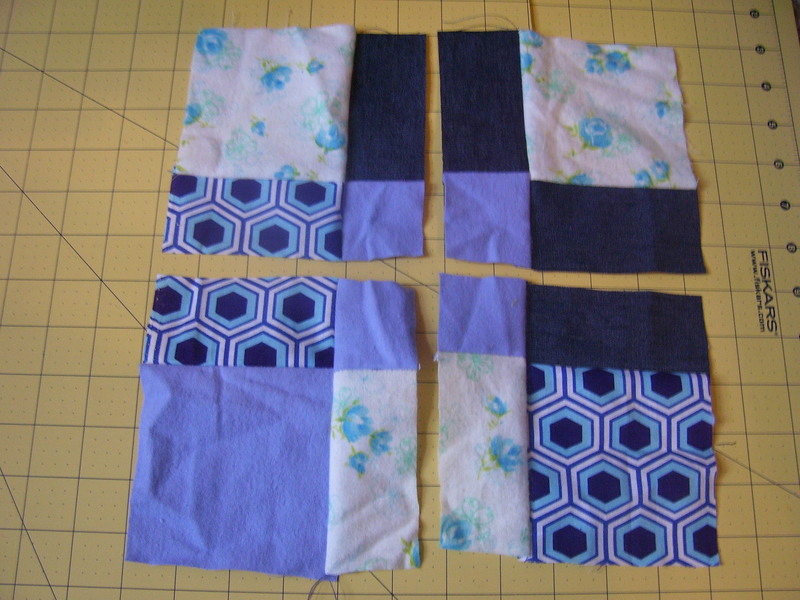 Cut the square you have made in half vertically and horizontally, so you end up with 4 new squares. 5. Arrange the new blocks any way that suits your fancy. 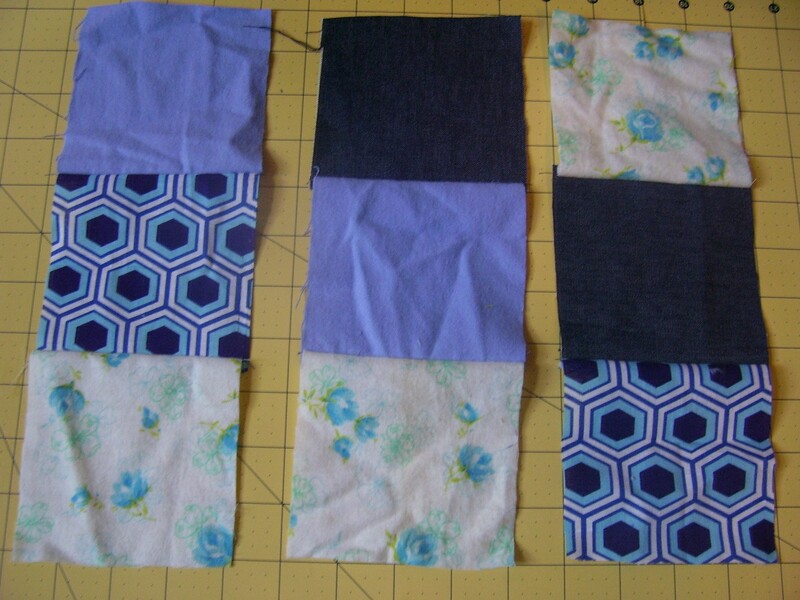 Now, sew these 4 blocks together using the same methods as described in step 1, except you sew 2 rows of 2 and then connect them. 6. Lay your backing piece face down. Take the batting and lay it on top of this, followed by your quilt top. Pin all 3 layers together. 7. 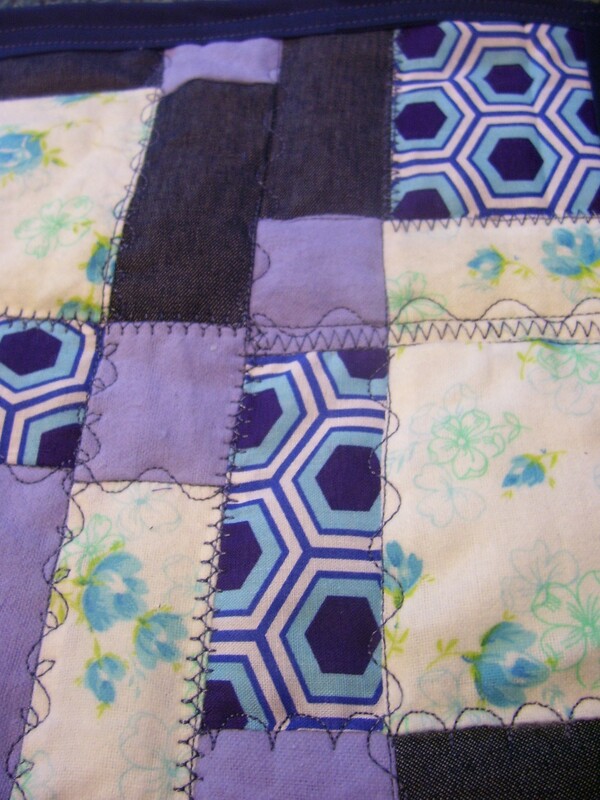 Sew along each seam, quilting the 3 layers together. I also went over each seam using some of my decorative stitches for extra oomph. 8. 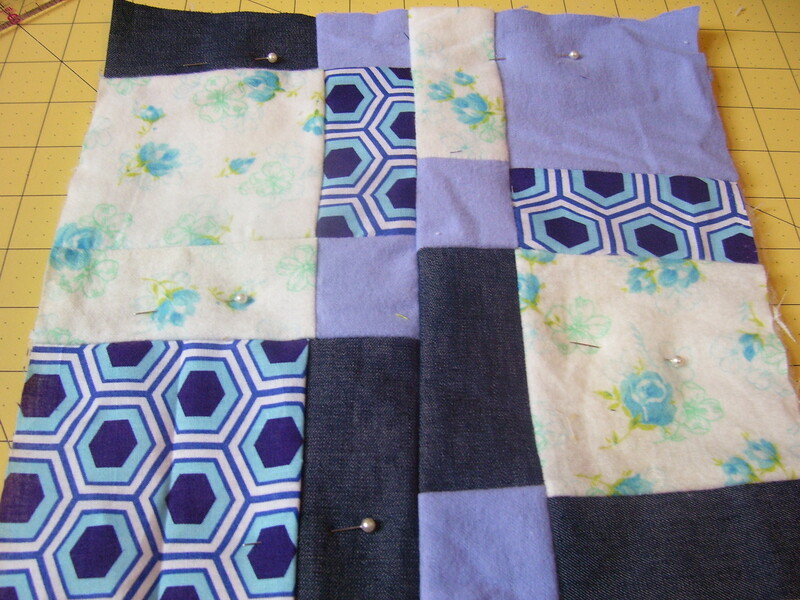 Pin the extra wide bias tape all along the edges of your quilt. Sew around these edges, mitering the corners.